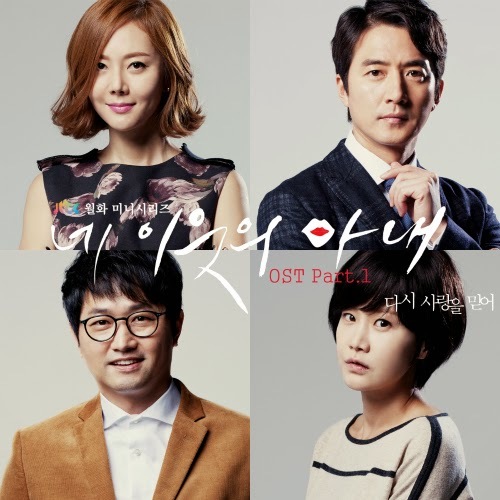 "Korean Drama OST Romanization Lyrics & Quotes"
Shin Yoo Mi from Mnet Voice Korea Season 2 participated in jTBC newest drama Your Neighbor's Wife OST. A drama about 2 middle-aged couples who live in the same apartment building, and they're now begin to believe in love again (but is it with their own husband / wife or with their neighbor's wife / husband?). This OST has a lively rhythm & melody, sang beautifully by Yoo Mi with her powerful vocals & is filled with raw emotions. Your Neighbor's Wife airs every Mondays & Tuesdays on jTBC. Beatus Corner is licensed under a Creative Commons Attribution-ShareAlike 3.0 Unported License.